Rubber Room Ramblings: TWO MORE TERRIFIC THINGS! 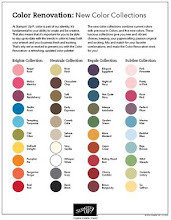 I have two more TERRIFIC things happening before the end of Sale-A-Bration, and I know you will want to take part! Number One is the Gram + Granddaughter = Goody sale! Yippee for me, I'm a grammy! I am heading to see my new little cutie (Dorthy Lee) on Sunday, and I will be gone for an entire week. What do you say, while this Gram is away, you play? I am having a Gram + Granddaughter = Goody sale for one week only. Beginning March 19, 2017 and ending March 26th at midnight, when you place a minimum $50 order with me, I will send you 5 FREE cards. You get those 5 FREE cards in addition to a FREE Sale-a-Bration item AND an entry into my drawing for a FREE Big Shot. Spend $100, get 10 FREE cards, two entries into the Big Shot drawing AND two FREE SAB items. With every $50 you order, you earn more SAB items and more FREE cards and more entries into the FREE Big Shot Drawing. The more you order, the more awesome goodies you get. Be sure to use hostess code 9N9BDGN6 when you place your order. You can order from my websiter HERE or call or text me at 248-909-8016 and I will be happy to help you place your order. REMEMBER, March 31, 2017 is your very last chance to get these FREE SAB ITEMS. Enjoy even more savings when you join my team. 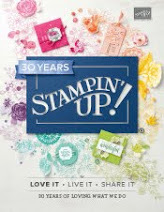 Become a Rubber Room Rambler while I'm gone and for only $99 you get $125 worth of awesome Stampin' Up! 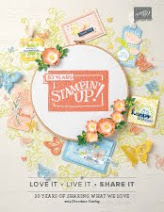 products (you customize your kit and pick any items you want) plus an additional two FREE stamp sets, FREE classes in the Rubber Room, FREE training, FREE monthly meetings, FREE monthly swaps, 25 FREE cards, three tickets into my drawing for the FREE Big Shot and all the benefits of being a Stampin' Up! Demonstrator (there is no obligation to remain active and/or place any future orders). Number Two is the Last Friday for FREEBIES Party! Since March 31st is on a Friday, let's end Sale-a-Bration with a REAL CELEBRATION! Instead of mourning the end, let's show SAB just a little more love. 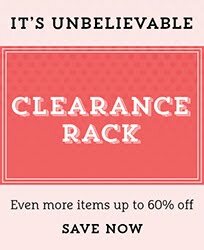 I will be hostessing a party in the Rubber Room to honor those Sale-a-Bration products before they are gone for good. This great Rubber Room party will include door prizes, a dessert bar, games, an appearance by the prize wheel, make and takes, the big drawing for the FREE Big Shot and perhaps even a few surprises (because everyone likes a good surprise, or two). Cost to attend the party is $10; but if you place a minimum order at the party, you can enjoy all the fun for FREE! REMEMBER THIS IS YOUR VERY LAST CHANCE TO GET THOSE FREE SAB ITEMS!!! You must RSVP by March 26th, and let the party planning begin!